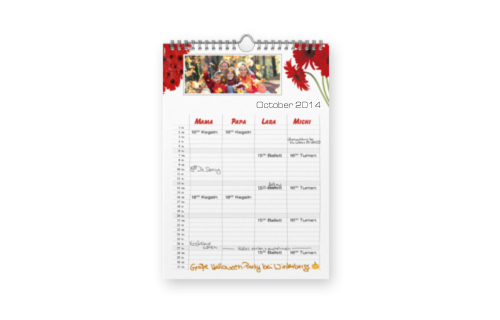 A printed appointment calendar the whole family can make use of! Football training, ballet lessons, meeting with friends, the weekly shopping - there are plenty of occasions in a family's daily life. Our high-quality printed family calendar with its multi-column layout offers an ideal basis for your schedule. 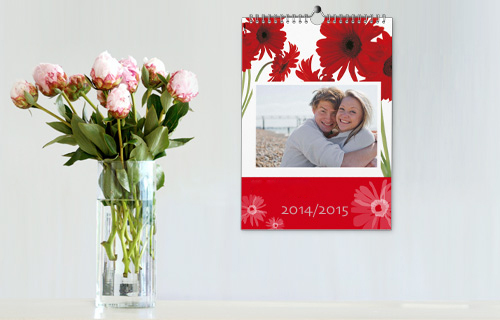 Design it your way by choosing a design or background and add your own personal photos. Tip: Choose your own start month to make this calendar a great gift idea anytime of the year!